This holiday resort nestles in the countryside and is near the Adriatic Sea. It is surrounded by eucalyptus trees. 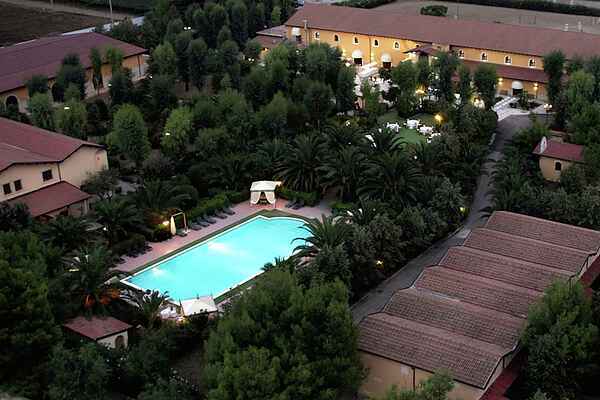 The resort consists of a hotel and twenty apartments with a shared swimming pool. Apartment Francesco has attractive wooden furniture and is full of atmosphere. The resort is a few kilometres from the town of Barletta. Youll discover numerous, beautifully preserved medieval towns, castles and churches along the forty kilometres of coastline. As the resort is so close to Barletta, many places of interest are within easy reach. These include the town of Andria, historic Castel del Monte, the hills of Murgia, the port of Trani and the town of Margherita di Savoia.